Did you know that Fire Risk Assessments are now compulsory? This was declared on 1st October 2006 under the Regulatory Reform (Fire Safety) Order 2005, making it a legal requirement for Business Operators to undertake Fire Risk Assessments. The legislation specifies that it is the Business Owner or Controller who is responsible for Fire Safety and Fire Risk Assessments, not just the Property Owner. In your workplace there must be a “Duty Holder” or an assigned “Responsible Person” in order to carry out your Risk Assessments. A Fire Risk Assessment is a process involving the systematic evaluation of the factors that determine a hazard from fire, as well as the likelihood that there will be a fire, and the consequences if one were to occur. It’s essential to keep a written record of your Fire Risk Assessment if your business has 5 or more employees. It’s important to remember that your Fire Risk Assessment should demonstrate that as far as reasonable, you have considered the needs of all relevant people including those with disabilities, or impairments which may prejudice their escape from the premises. What you need to consider? In the process of your Risk Assessment you must remember to consider your emergency routes/exits to ensure the routes you have chosen are suitable and easily structured. Fire detection and warning systems are equally as important as they should be structured along exit routes and all stairwells (if necessary). Do you have appropriate fire fighting equipment? There are many different types of fire extinguishers, its part of your risk assessment to find the suitable one for your workplace. This means you must choose one that will fight the fire that will most likely develop on your premises. For example, if you work within a kitchen, you will require an extinguisher that will fight fire caused from oil, gas, electricity etc..
Another aspect of your risk assessment that you must consider is, the removal or safe storage of dangerous substances. There must be a suitable process that confides your workplace. For example, if you worked in a science laboratory and you happened to get chemicals in your eyes or on your face, then there should be an ‘eye wash’ station or something similar put in place to prevent harm to yourself and your employees. Where do you go if a fire starts in your workplace? This is where the emergency fire evacuation plan comes into place! In your risk assessment you must show a safe place that you have chosen in order to evacuate from a fire. The safe place should be near your building but far enough away to prevent any harm. Once your safe place is chosen and approved, you must make all employees and whoever may be present in the premises aware of the evacuation place; this will show absences in case of a fire. Have you taken consideration for ALL people on the premises? It’s vital to ensure you have provided access to potentially vulnerable people, such as: Elderly, Disabled, Young Children, ensuring all aspects in your Fire Risk Assessment are suitable for everybody. Finally, you must provide all relevant information to either your employees or those who are on your premises about your Fire Risk Assessment, and what you have set out in order to comply with Health and Fire safety rules and regulations. 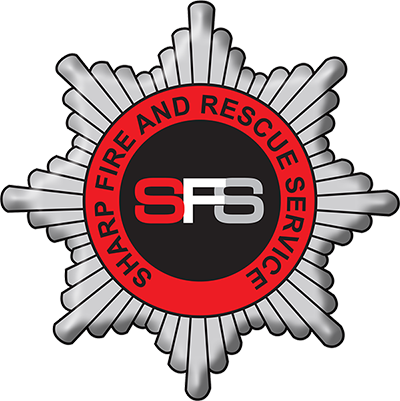 Sharp Fire & Safety can provide a full Fire Risk Assessment service, using fully competent and experienced Fire Safety Consultants, for premises on a large or small scale, leaving you to run your business without worrying about compromising the safety of your employees. Contact us now for your quote!